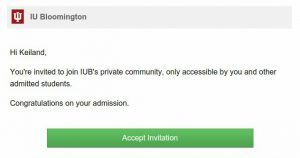 Of all the emails you receive as an incoming freshman to IU, one you should pay close attention to is the link to the mysterious “private community”. With all the other forms, links, and things you need to do before college, why is this one so important? The “private community” is a social media application called Schools App. It comes in two flavors, a free mobile application (Android/iPhone), or a free desktop version, which is powered by Facebook. (Though, whether you use mobile or the desktop version, they both pretty much contain the same content and features.) What’s so great about Schools App is the fact that its user base is composed almost exclusively of IU incoming freshman, with a few transfer students and IU staff scattered about. Schools App has had such a big impact on its users that on multiple occasions people choosing between schools have said that the app was one of the main reasons they had chosen IU. The central focus and hub of the app is what’s called the ‘feed’. Think of it like Twitter or Facebook’s Timeline. Here, people post all sorts of things, from small biographies about themselves to try to match with a prospective roommate, to snapchat screenshots making crazy faces with jokes in the captions. Trends will emerge: The day dorm assignments were released there were hundreds of posts, asking who is in what residence hall or who their roommate was. Everyone will list all their social media account handles, trying to get people to follow them. As the users pile up so do the number of likes and comments on each of the postings, and they seem to follow the order of events that we all tackle together as freshmen: Joyful posts about their IU acceptance, to Red Carpet Days sign-ups. Direct admission letters to housing contracts. Roommates to paying the dreaded Bursar. Yet the feed isn’t all work and no play. People make jokes, a lot of jokes. Concert Invites, thoughts about the upcoming school year, pictures ranging from IU merch, to vacation pictures. And even the infamous Groupme invites. (Which is a separate app, so I won’t get into it here, but s/o to my bootyfam19 squad). 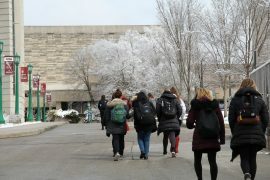 With almost all of us being freshman, there is a lot about IU and college life that we don’t know, and so people ask an enormous amount of questions on the feed as well. These could be as simple as what to wear at orientation or how to use IU’s website, to serious, such as what laptop to buy or what classes to take. People will ask about what dorms are the best, the worst, and most importantly which one’s have A/C. The out-of-staters ask about weather and the in-staters ask about places to eat. 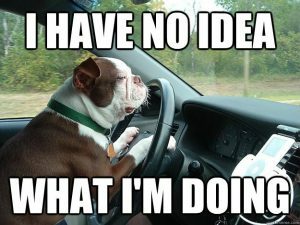 My point is, everyone asks everything, no matter what. Books, concerts, hiking trips, you name it. Yet, surprisingly, all the questions seem to get answered, and in a timely manner- usually by students or the few faculty members on the app if it’s a school related question. It was great to see so many people help each other for no reason at all. It was my first clue to the fact that the IU Culture of Care is an actual thing. This makes the app a valuable resource for not only entertainment, but for information. Thats not all Schools App has to offer, though. You can also create a meetup, receive important announcements from IU officials such as RPS (handy for when housing apps come out), look up students by almost any search criteria, join groups, and you can even slide into people’s dm’s in the messaging section (If you know what I mean). The Schools App is a valuable tool your freshman year and beyond, in both an academic and social light. I learned so many things from the questions that were asked, and answered a few of my own. Vital information from other students that I would never had known otherwise. I also met a lot of people, from all over the state, country, and even world; I can honestly say I have made friends before I had even stepped foot on campus. Two huge aspects of college all rolled in one, it will make your friends at Purdue and other campus’s wish they had it, I know mine did. Getting Ready for School: What to Do in the Summer Preceding Freshman Year?